On 24 June 1717, four established London Lodges came together at the Goose and Gridiron Tavern in St Paul’s Churchyard. Thereupon, our Grand Lodge, the first in the world, was formed with Anthony Sayer as their Grand Master. Thus United Grand Lodge of England will be 300 years old next year. The following is an indicative listing of celebration events, activities, & plans that will give dates for diaries, encouragement to Worshipful Masters, Lodges, Masonic Centres, & all Brethren to consider how you can get involved in supporting & organising celebratory events. Hosted by Sure & Stedfast Lodge 8991 in Cardiff Masonic Hall. South Wales Province will raise funds to present Teddies to children admitted to Accident & Emergency Units. 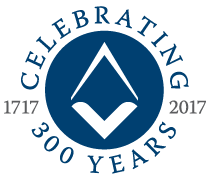 Presentation address to be given by W Bro Ian Simpson PAGPurs, Chairman of the National Appeal. To aim to welcome 300 new members into the Province. All to be presented with a copy of the 1st Degree Charge at Initiation, uniquely numbered & signed by PGM. All invited to a special event at end of 2017 to meet the PGM & Exec Team. Colonnade Club at Beehive Lodge, all Initiated in last 12 months are invited to attend. 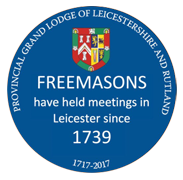 To install commemorative ‘blue plaques’ on Masonic Centres. Each will be unveiled by the Provincial Grand Master. The MCVC are intending to visit every Province and stop off at destinations throughout South Wales. Will include a unique visit to the new Aston Martin HQ at St Athan. Masonic Centres, Lodges, & individuals can organise a TLC Teddy Bear Picnic. A party pack box will be available from UGLE with supporting material, to raise funds for the TLC programme in the Province. Lots of national publicity has been arranged. Masonic Halls to open as part of the national Heritage Open Days run by Cadw & listed on their website. Each Hall to register from 1st March 2017 on Cadw website with date(s). Lodges across the Province to be represented and lay wreaths. Our Provincial Grand Master has given kind permission for Brethren to wear Masonic Chains and Collars at wreath laying ceremonies 2017. Worshipful Master of all Lodges in Province to contact their local British Legion Association to order their wreaths. St Cecilia Demonstration Team will conduct a series of enactments throughout the Province of a 1717 ceremony. New members welcome to join in the fun of rehearsing. For further information, support, and to get your event listed in the Province Tercentenary Events Listing, please contact Tercentenary Coordinator, W.Bro. Kevin Hearne on 300celebs@nullsouthwalesmason.com. For assistance with communication matters, please contact Provincial Communications Officer Paul Haley on Provcomms@nullsouthwalesmason.com. 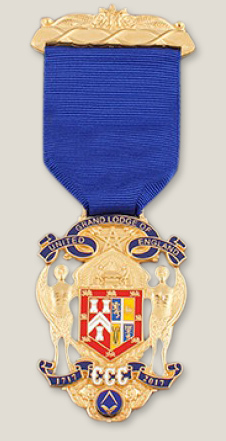 To mark the Tercentenary of the United Grand Lodge of England, the Grand Master has approved a special jewel, which will be available from the start of the three-hundredth year on 24th June 2016. The jewel will be a permanent jewel and may therefore be worn by qualified Brethren of the English Constitution for the rest of their lives. The jewel may be worn only by Master Masons (and above), but any Brother who will at any time between 24th June 2016 and 31st December 2017 have been a member of a Lodge under the United Grand Lodge of England will qualify for it. (Those who are only Entered Apprentices or Fellow Crafts during that period will be entitled to wear the jewel as soon as they have been Raised). The Pro. Grand Master hopes that Grand Officers – who normally wear no breast jewels other than the Royal Arch jewel – will wear it throughout the period, and will not feel obliged to stop wearing it after the end of 2017. The Jewel is available from Toye, Kenning & Spencer, Newton Road, Bedworth CV12 8QR and can be ordered online here.